This endpoint logs in (call center only) agent on his/her dedicated virtual position. When an agent gets created, a virtual position for his/her account will be created by the system. This position is specially allocated to him/her and cannot be shared with other agents. 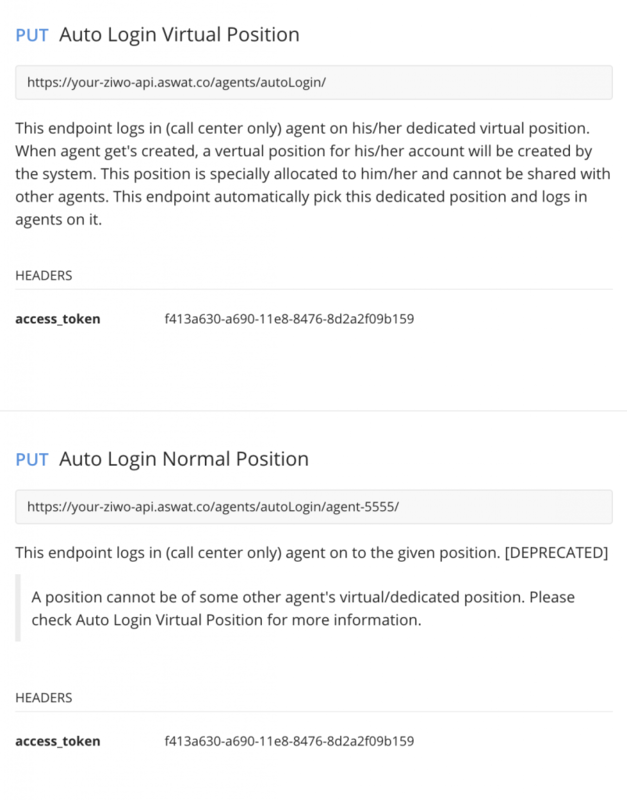 This endpoint automatically pick this dedicated position and logs in agents on it.